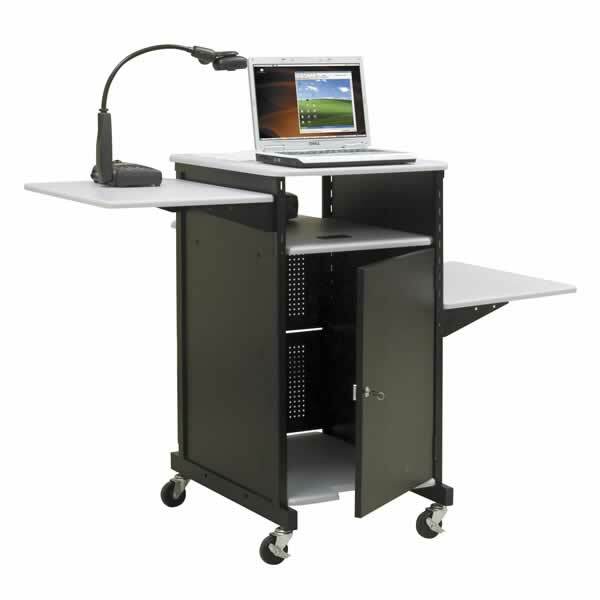 The Balt 27517 Xtra Wide Presentation Projection Cart with locking security cabinet is a full size presentation cart, giving you enough space on top for a document camera and enough room to give a good presentation to your audience, without feeling cramped for space. 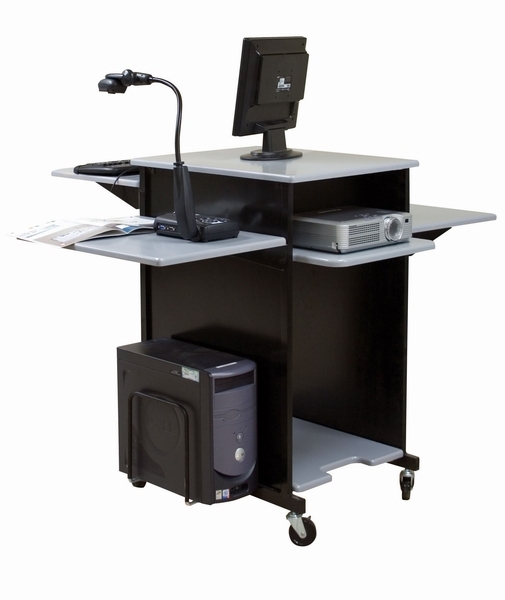 Larger top and improved construction make this Xtra Wide presentation cart an outstanding deal for teachers and presenters who can't be constrained by powerpoint. Comes with three fully adjustable shelves for maximum customization on the fly, one for your laptop or mouse+ keyboard combo, a second to dedicate to either presentation materials, and a third for your document camera, leaving your top free as a document surface or to house a monitor. The projector is nestled below on it's own fixed shelf. Below, inside the locking security cabinet is enough space for additional equipment, and mount for a CPU on the side. Projector cart is constructed from 16-gauge posts and 18-gauge panels finished in black powder coat.